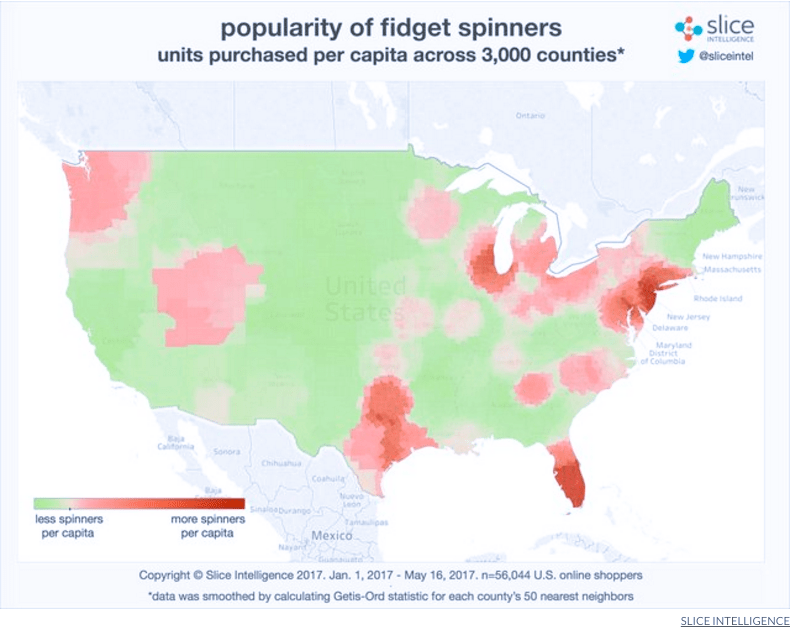 Fidget Spinners – Craze or Crazy? The craze, the fad, the mystery, the money – it’s Fidget Spinners for 2017. If you have kids you know about Fidget Spinners. Or if you act like a kid in my case. Fidget Spinners are the latest craze, so hop on the train while it’s hot. Here’s the scoop in this cool gadget. Fidget spinners are getting a lot of bad press lately – bursting into flames, causing fights and danger to young kids. While I don’t dispute there are some concerns, like any other toy, if handled properly, it is just simple stupid fun. And that’s all it is. Believe me in 3 months the hype will be over and nobody will remember. With that said, I find them irresistible and when Im sitting in front of the computer or TV it is just mindless finger exercises. “Using a spinner-like gadget is more likely to serve as a distraction than a benefit for individuals with ADHD,” said Mark Rapport, a clinical psychologist. Fidget spinners became popular toys in 2017, although similar devices had already been invented in 1993. The toy became popular among schoolchildren. Some schools banned the spinners for being a distraction, while other schools allowed the toy to be used discreetly. Where did Fidget Spinners originate? Catherine Hettinger, a chemical engineer by training, was initially credited by some news stories to have been the inventor of the fidget spinner, including by media outlets such as The Guardian, The New York Times, and the New York Post. Hettinger filed a patent application for a “spinning toy” in 1993 and a patent was issued, but Hettinger allowed the patent to lapse in 2005 after she could not find a commercial partner. A May 2017 Bloomberg News article showed that Hettinger was not the inventor of the fidget spinner, and Hettinger agreed. In an interview appearing on May 4, 2017 on NPR, Scott McCoskery described how he invented a metal spinning device in 2014 to cope with his own fidgeting in IT meetings and conference calls. And the rest is history. If that wasn’t enough, now you can buy fidget spinners that are bluetooth enabled and connect to your phone and play music. A company called BlueSpin is about to launch a spinner that connects to an app on your phone that gamifies the fidget spinner experience, allowing you to complete trick challenges, share your scores, and chat with your friends about how much you love fidget spinning. The spinner includes touch sensitive buttons on each side, and an accelerometer to track motion. It can track your speed and number of spins (thanks, magnets), and tell you how cool you are whenever you manage to transfer the spinner from hand to hand, or balance it on a single finger. The tiny built-in battery is replaceable, and supposed to last for an entire year on a single charge. How many Fidget Spinners have sold? Right now, the market is flooded with cratefuls of imitations, most from China. Some version of fidget spinners currently occupies all of Amazon’s Top 20 best-selling toys and games. Allen Ashkenazie is executive vice president of Almar Sales in New York City, a supplier of toys to such retailers as Wal-Mart and Toys ‘R’ Us, said that by the end of May his company will have shipped out 45 million fidget spinners that retail from $5 to $25 each. One of the underlying tones from seniors is that they feel embarrassed and inferior that they can’t use this technology. This is understandable and I would say to any of them that you are not alone and many young people have the same issues. Here are a few tips to gaining confidence and understanding the technology. PUSH THE BUTTONS – I find so often that people are afraid to click on something and go the extra step. Unless your putting the application in the trash I can assure you that you wont do any permanent damage. If people would just try clicking around and experiment a little they would see a pattern in the technology. All can be undone be restarting the phone, making that call to the grandkid, or just going back hitting the home button and starting over. WRITE DOWN YOUR PASSWORDS – this may be the single most contention of confusion. The password is forgotten or “it just doesn’t work.” I mean were all guilty of password flubs, but there is no way around that you have to document them some how, or have a really good method in your head. Read this article for more info on passwords. STICK WITH YOUR TECHNOLOGY – meaning that if you like Apple, but everything Apple. If you like Android do the same. You’ll find the phones and the computers all have similar methodology to emails, accessing photos or files, etc. Now you can have an Android phone and a Mac laptop. The hurdles are not that great, but it helps in diagnosing if it’s all the same operating systems. GOOGLE IT AND LEARN – one thing I find seniors love to do is Google. They will ask Google anything for facts at dinner, or out with their friends, but asking about Tech doesn’t seem to resinate with seniors. 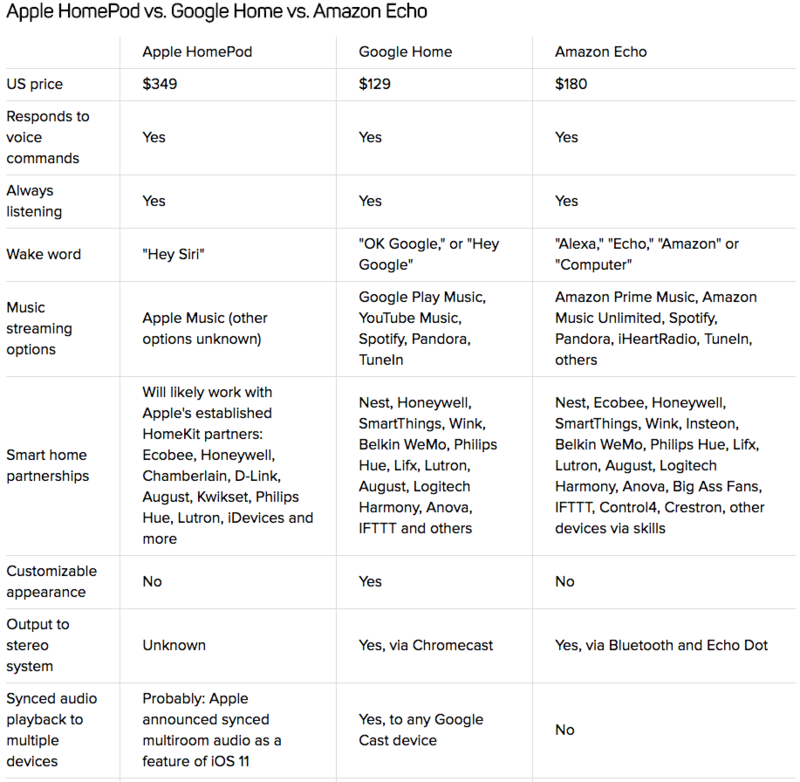 So I suggest you ask Google how to do anything tech, or about phones, clickers, what to buy. Granted you may find to much info but your question will be answered. 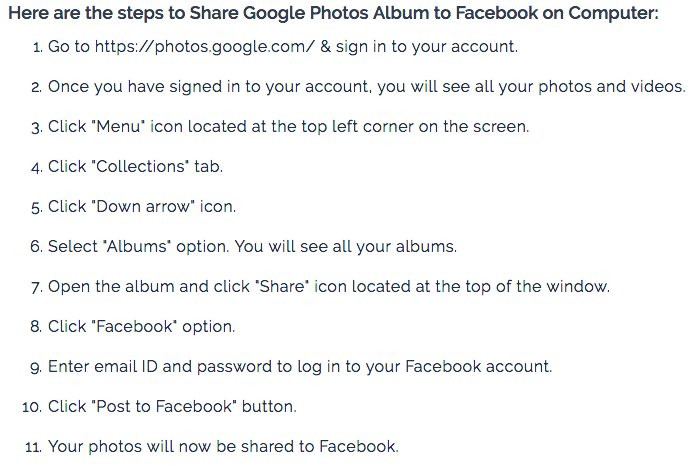 For example, if you want to know how to share your google photos with Facebook – Ask Google. See the answer here. So, take the plunge and try out the latest tech, “Technology doesn’t have to be scary. It works for you.” Keep pushing buttons and asking questions. You’ll get the hang of it. 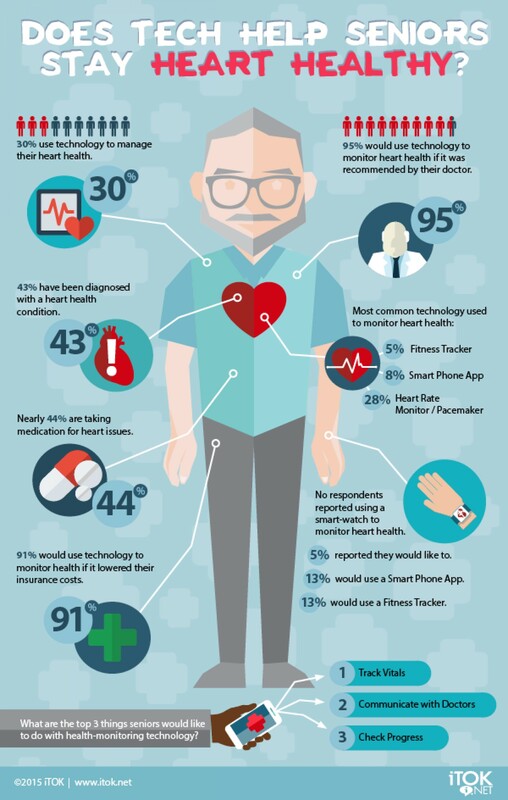 I also recommend you check out AARP for many digital tools and “How To’s.” In the meantime, check back here for more tech updates and a future podcast you can listen to about tech and gadgets. At CES 2017 this year, tech, gadgets and robots ruled the floors of the Las Vegas conventions hall. It’s impossible for me to summarize all the cool tech and gadgets that were at CES, So I’ll leave it up to the experts that saw them first hand. Below are video wrap ups from the tech gurus who attended CES 2017. As every year at CES, there wee the inventions, the strange, and the up and coming. Some useful and some weird. But all of it is amazing. In an industry that dominates our everyday lives, consumer electronics must deliver more each year. It must be quicker, sleeker and smaller. The trick is making it useful to the consumer. So some things are cool and fills a void, while others need some refinement. In the end we are all entertained and smarter for the show. See you next year at CES. 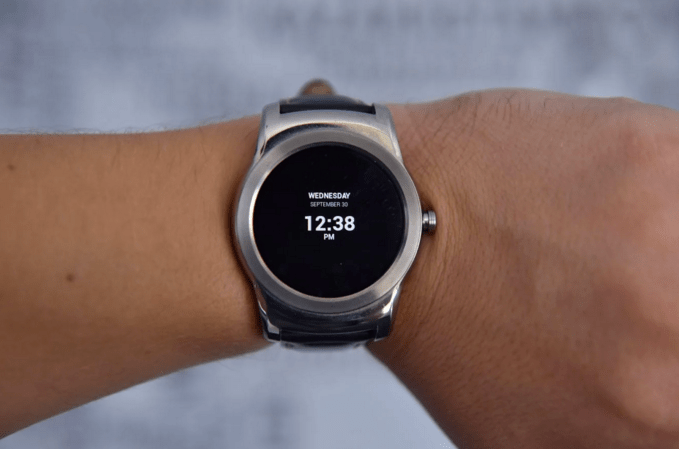 If you’re in the market for an Android watch, the Moto 360, The LG Urbane, Samsung Gear, or ASUS Zenwatch, then you will be heading to the Play App store to download every App and watch face imaginable. You’ll have a variety of faces to choose from, either for free or a slight fee, and there are good ones and bad ones. It’s not always evident from the picture either. The ones you think will be good are hard to read and vice versa. So let me give a rundown of the top faces and companies I like, and then you’ll have a head start. You can start downloading the free ones, but ultimately the paid ones have better functionality and versatility. With that said, we are talking about $1.05 a face on average. The other thing you’ll expect from watch faces are “moods”. You will want a face for different clothes and atmosphere. Something sporty and something elegant. That’s the major point advantage with a digital face. It changes when you do. Another thing I’ll suggest is that you purchase a few watch bands. On the Moto 360 they make changing the bands so easy with the quick clasp. Clasps on the bands make it easy to switch. The other thing you want to look at is how the face looks like in ambient mode (the mode when the watch is not active). Some do a better job than others. 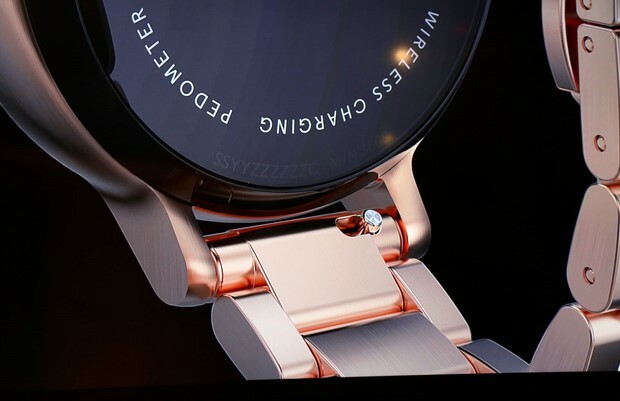 The ambient mode or “Always On” mode is designed to keep the watch activated and help save the battery power. But the reality is that the ambient mode is what most people will see when looking at your watch from across the room. 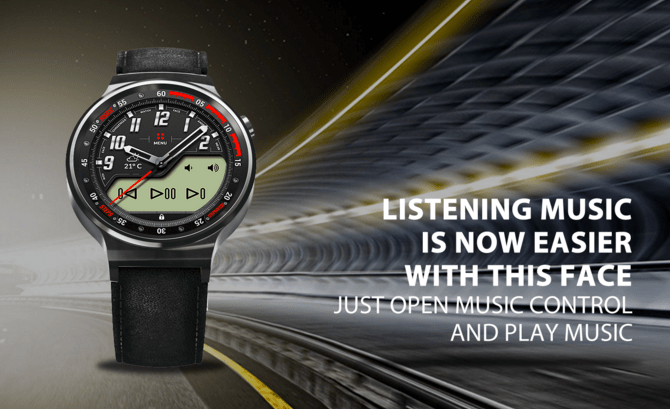 Look below at the difference between the active state and the “ambient” mode – 2 different watches. The same watch face in ambient mode below. This is my “go to” watch face. I love the design of this face. It easy to read, it’s interesting, and the color tone goes with almost everything. It feels elegant and sporty at the same time. 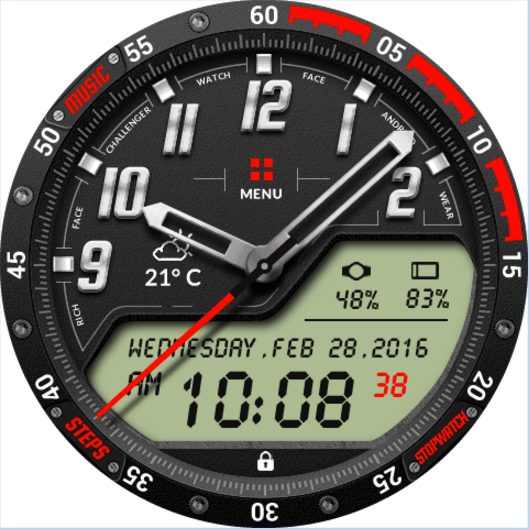 While I do like some of the busier watch faces, my biggest criticism of watch faces is that many are hard to read. You will find watch faces that provide the weather, battery power and heart rate info, on top of the normal date and time. These functions are helpful, but there is definitely an art on how to display this info in a readable, stylish way. This face provides that. Check it out. 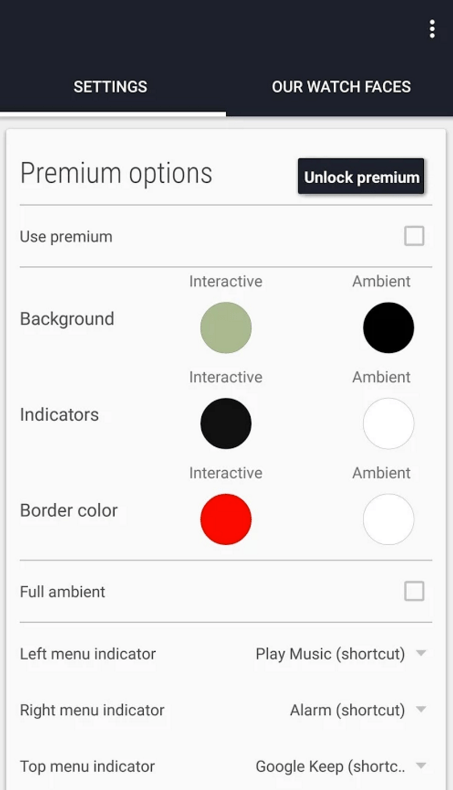 One other important factor you want to consider is that not every face comes with the same settings and customization options. I just recently downloaded this face and the reason I like is because the face is easy to read and interact with. That is because the open space on the bottom and right allow for a comfortable amount of room to fit music controllers, or the weather, steps, and other actions. See below. It’s a very nice readable face that displays all the info and gives you the interactivity you expect from a digital watch face. This is quickly becoming my “go to watch face” and may be number 1 soon. One other important factor you want to consider is that not every face comes with the same settings and control of the face color, interactivity and styles. Some watch faces settings are limited, but most of these mentioned above come with extensive control. For instance, you will want to change the time that the face shows lit up, so you don’t burn out your battery. The default setting is about 3-5 seconds. I find 15-25 seconds is good for me. Below is a partial snapshot of settings for Challenger face. It is fun to match your clothes and mood for the day with your watch face. I get many compliments on the watch faces. The controls and modifications you can make to the Driver watch face may be the most extensive I have seen on any watch customization. The color modifications, interactivity, hand styles and widgets are extensive. While this can sometimes overcomplicate the watch face, it can make a good watch face even better. 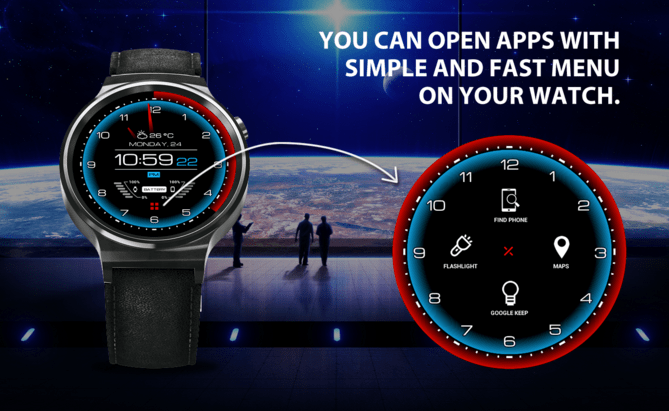 While this watch face looks similar to the Challenger above, it is a little different and comes from a different developer. Sometimes the smallest changes in design make a difference in how you view what’s going on the screen. I had downloaded this one before the challenger face and was a long time favorite. This is a fun face and yet a well designed, easy-to-read face. The ambient mode on this face is excellent as well. 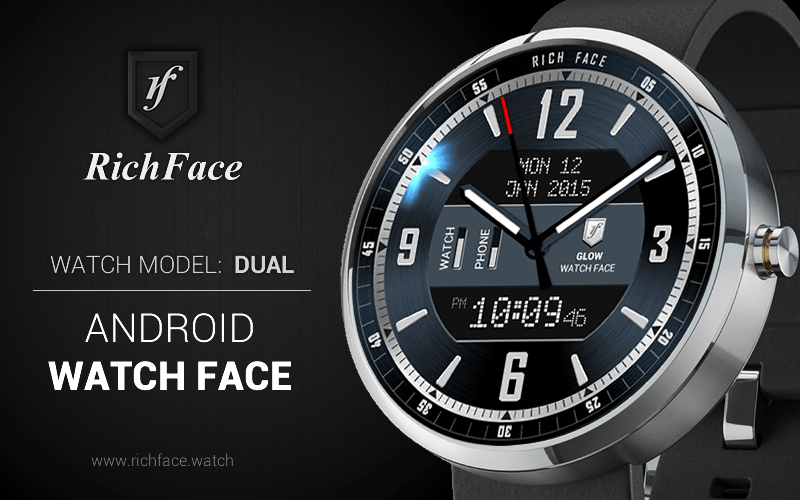 This watch face has great customization and control of the colors and interactivity. It’s a sporty look and can have a cool “techy” look as well. 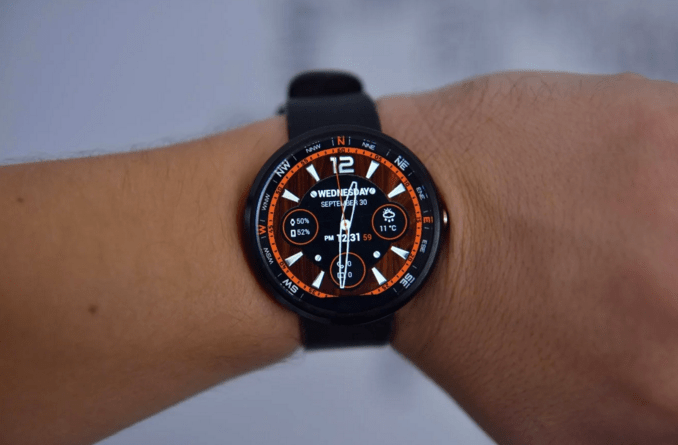 I’ll leave you with a review of the Moto 360 in case you are interested now.